Olmsted Falls City Schools is excited to release its first Financial Prospectus. 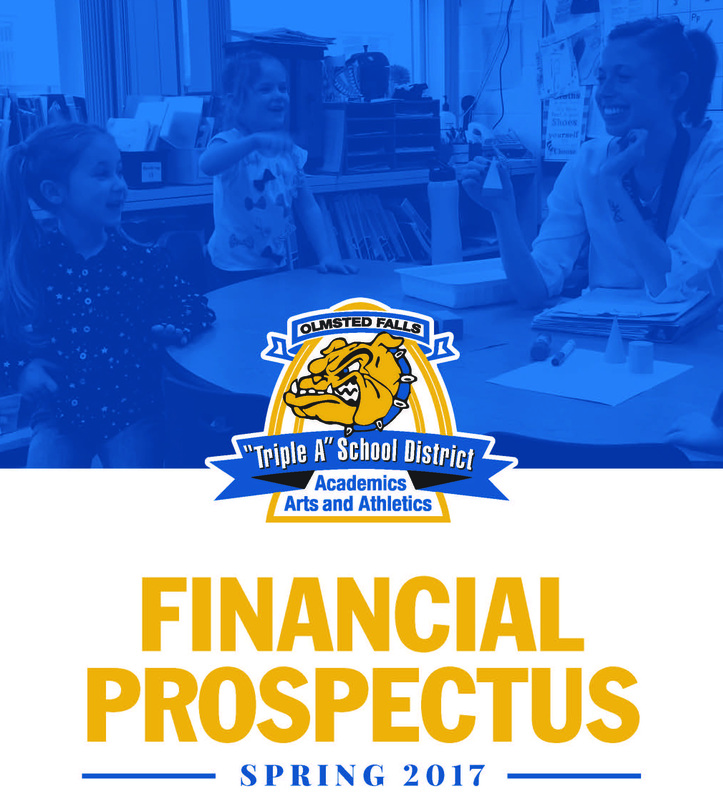 This report provides a complete and in-depth view of the district’s financial situation. 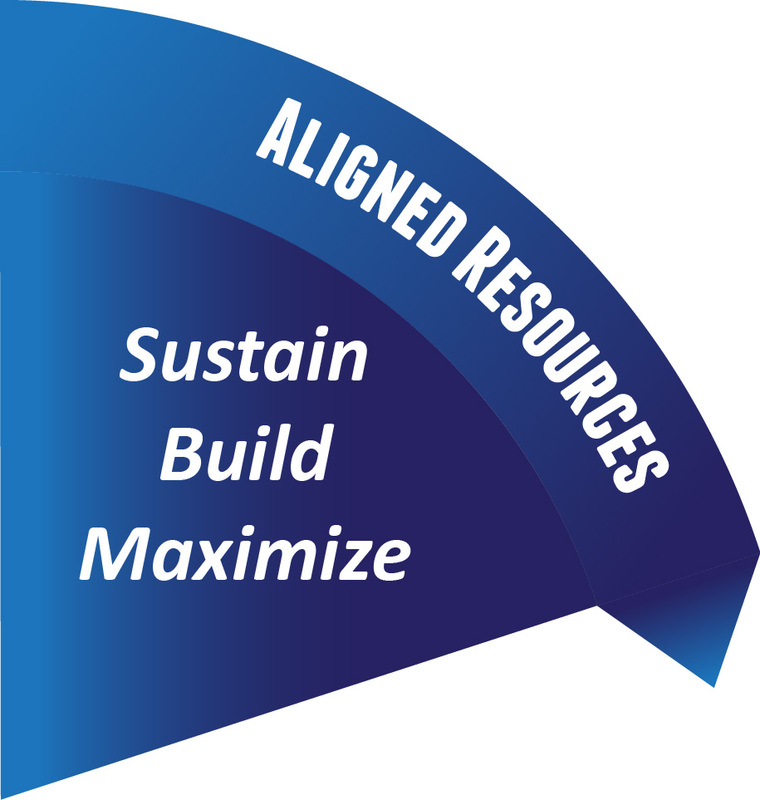 It shares with the community important financial information such as where the district receives funds, how the district prioritizes its spending and what the district has done to cut costs and discusses when the district may be back on the ballot for operating funds. This new Financial Prospectus will be mailed to all homes and businesses throughout the community. To view an electronic version now, please click HERE. If you have any questions about Olmsted Falls City School’s financial story or the great value it provides to the community, please contact the Treasurer’s Office for assistance at 440-427-6000 or edales@ofcs.net. The OFHS Class of 2017 made two very special stops on their way back from commencement practice on May 25th. 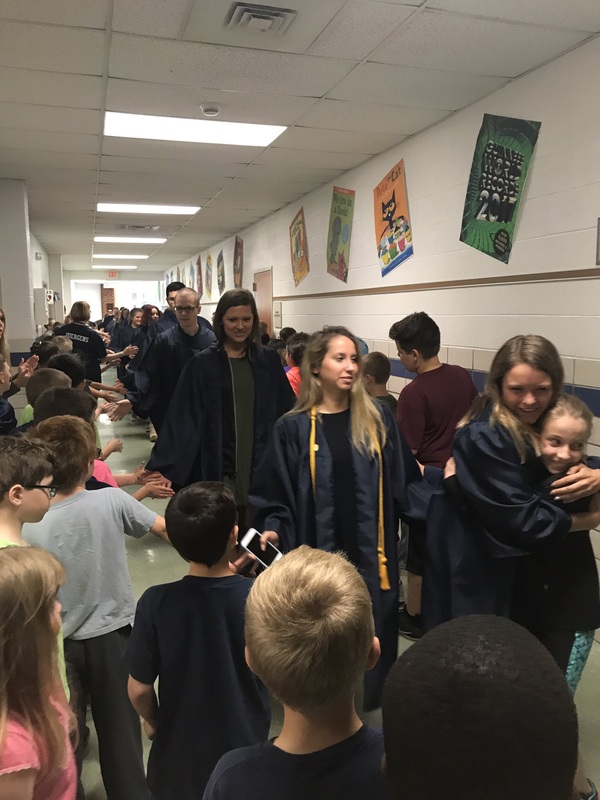 The soon-to-be grads visited both Falls-Lenox Primary School and Olmsted Falls Intermediate School where they were met with cheers of congratulations from the district’s younger Bulldogs! The Class of 2017 paraded through both buildings to share their excitement with our future Bulldog grads and Bulldog staff members. This marks the second year for this new Bulldog tradition! CLASS OF 2017 COMMENCEMENT CEREMONY @ CSU WOLSTEIN CENTER – TONIGHT! 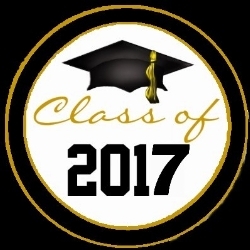 The Commencement Ceremony for Olmsted Falls High School’s Class of 2017 will take place this evening – Thursday, May 25th – at the Cleveland State University Wolstein Center. The ceremony begins at 8:00 p.m. All are welcome; tickets are not required. Bulldog staff members assemble congratulatory yard signs for each Class of 2017 grad. Mr. Vas paused for a selfie during yesterdays deliveries! Thanks Mr. Vas! 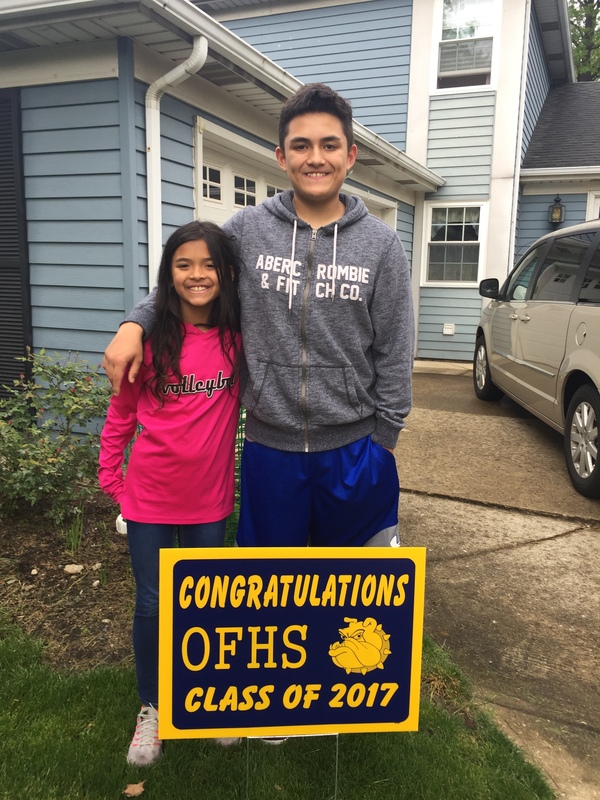 In what has become a beloved annual tradition, all graduating Bulldogs received a congratulatory yard sign on the eve of the Class of 2017 Commencement Ceremony. 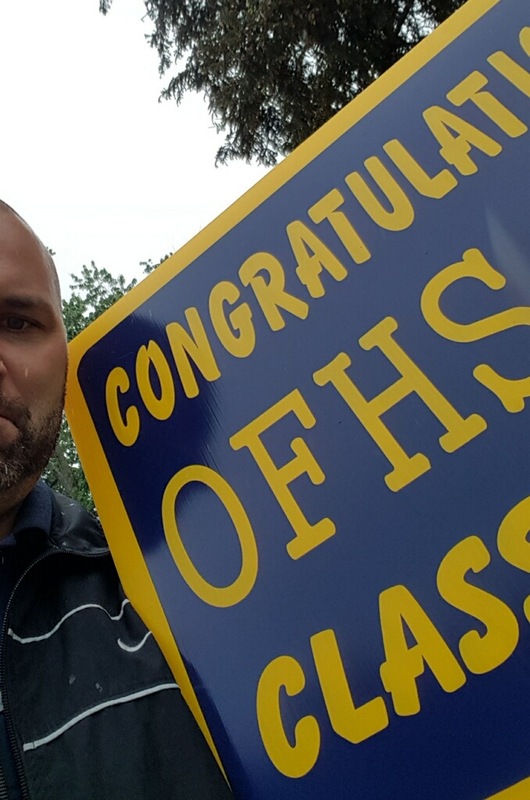 Many thanks to OFMS teacher Dan Largent and the Olmsted Falls Education Association for coordinating the purchase, assembly and personal delivery of these signs. 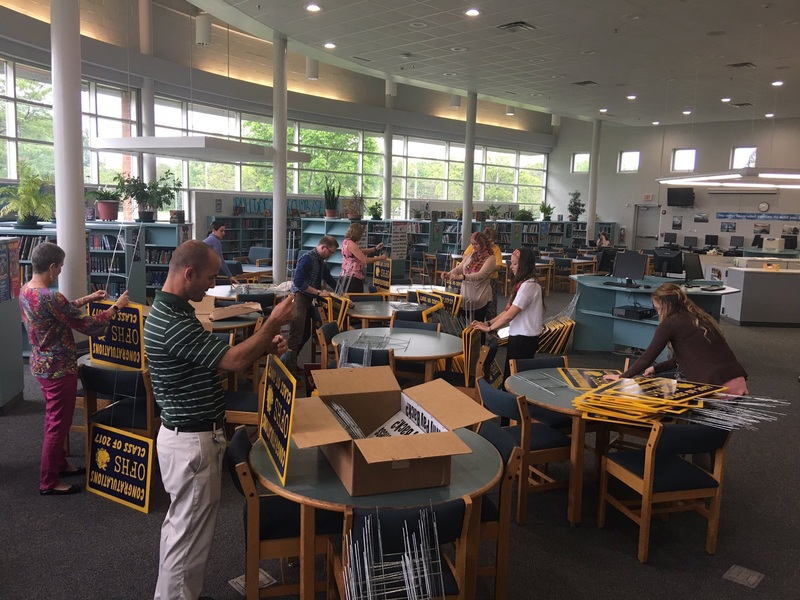 A volunteer group of approximately 40 administrators, teachers and staff dodged raindrops yesterday afternoon and evening to ensure that all grads woke up to a congratulatory sign this morning on graduation day! Bulldog staff members’ delivery of “Congrats” yard signs puts smiles on faces of Bulldog grads and their families! Kudos to our awesome Bulldog staff! Congrats again to the OFHS Class of 2017! 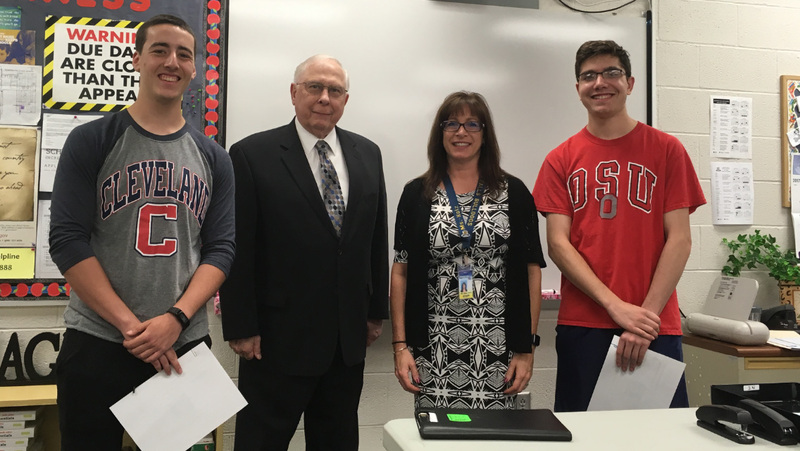 Students enrolled in Ms. Kotz’s business class this semester participated in a semester-long business plan writing contest in collaboration with the Believe In Ohio program. Believe in Ohio is a new program from The Ohio Academy of Science that helps high school students prepare for the future. The Believe program helps students understand the importance of a STEM education and an entrepreneurial mindset to become competitors in Ohio’s Innovation Economy of the future through engagement with STEM & entrepreneurial experts and mentors, and participation in Business Plan competitions. The program was developed in collaboration with Entrepreneurial Engagement Ohio with the support of the Ohio Board of Regents and the 130th Ohio General Assembly. In a tie for first place (pictured above) were “Charge & Go” by Daniel Linder, grade 12; “RoadGuard Sensor” by Matthew Thielman, grade 10; and “Bi-Temp Steering Wheel Cover” by Miranda Banko, grade 11. These students will split the $500 award for first place! Congratulations! Four more plans tied for second-place runner-up honors (pictured at left). The runner-up plans were “Pro-Fish” by Michael Thielman; “Healthy Heels” by Jenn Bajc; “Earbud Rollup” by T.J. Slater; and “Drunk Print” by Sarah Archual and Gabby Asche. Congratulations to all of these outstanding students for their hard-work, creativity, and dedication which resulted in these awesome business plans! 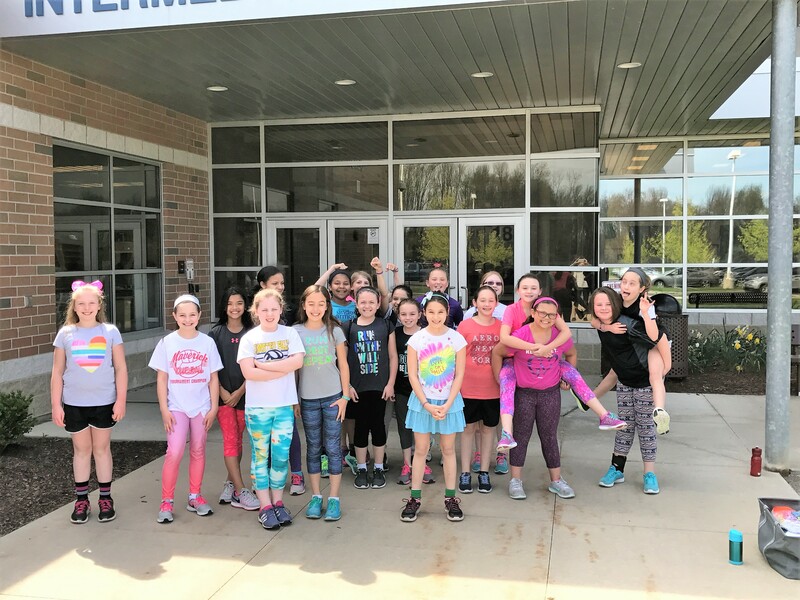 The first-grade classes of Mrs. Schiely, Mrs. Rivera and Mrs. Smith visited their pen pals at Spruce Primary School in North Olmsted. The three classes have been writing back and forth since the beginning of the year. During their visit, they assembled puzzles with a secret message, chatted, ate popsicles and played together on the playground. To view more photos from this special visit, please click HERE. Bulldog 2014 alum Evan Moyse to play hockey for Ohio State! 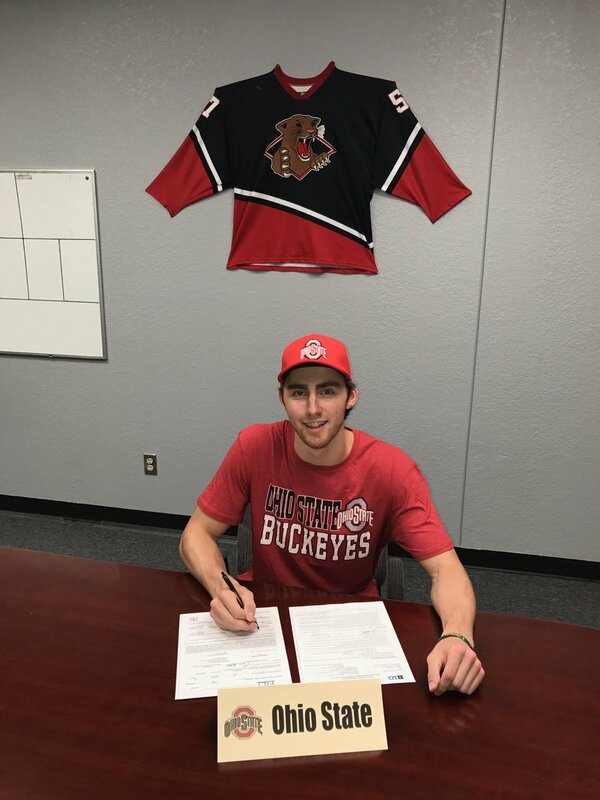 Congratulation to Bulldog alumnus Evan Moyse, Class of 2014, who has officially signed to play Division I NCAA Hockey at The Ohio State University of the Big Ten Conference. Evan will begin his college hockey career with the start of the 2017-2018 season. Evan is a hockey goalie who has been playing in the NA3HL, CCHL (Canada) and, most recently, with the NAHL Wichita Falls Wildcats in Wichita Falls, Texas. Evan is pictured at right during his official OSU signing ceremony, which took place recently at the Wichita Wildcats facility in Texas. Congratulations Evan! Wishing you an awesome first season with the Buckeyes! Olmsted Falls City School District is Bulldog proud of you! To read more about Evan Moyse, please click HERE. The Olmsted Falls Middle School Media Center just wrapped up its Scholastic BOGO sale, which was a huge success. Many of our Bulldogs took advantage of the great sales on summer reading books. Thank you to Mrs. Surtman and Mrs. Milligan who volunteered their time to help with the fair. 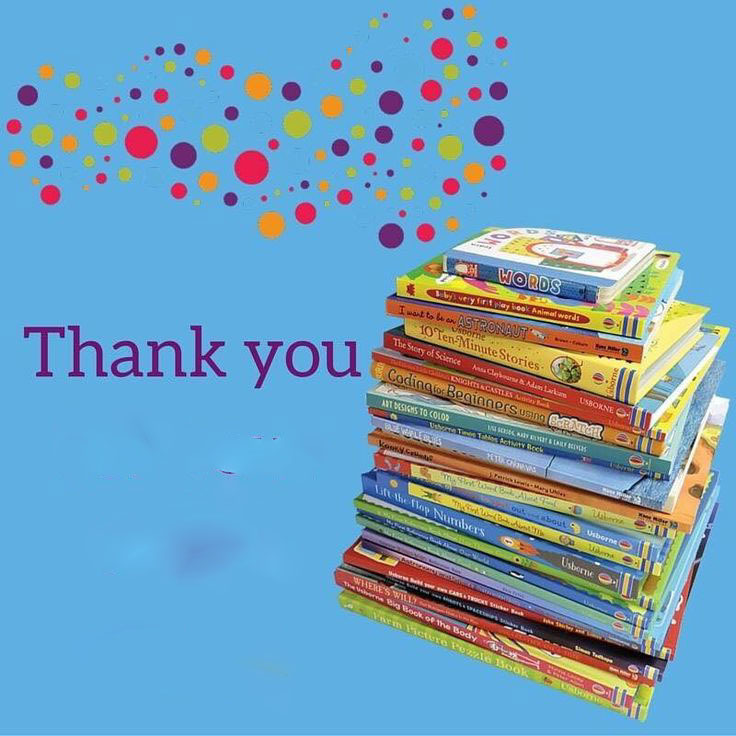 Thank you, also, to all who purchased books. Have fun reading! Lifetouch National School Studios is offering parents a chance to order photographs of your student at the commencement ceremony. Every student will be photographed, with photos available online 10 days after the special event. 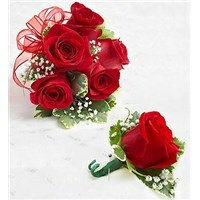 To view the online order form, click HERE. Graduates will receive complimentary proofs in the mail. There is no obligation to make any purchases. OFCS Kindergarten enrollment for 2017-2018 is open. the first step in the registration process for new kindergarten students is to complete the online registration. ONCE YOU HAVE REGISTERED ON-LINE, THE NEXT STEP IS TO SCHEDULE A SCREENING APPOINTMENT. KINDERGARTEN SCREENINGS WILL TAKE PLACE NEXT THURSDAY & FRIDAY, MAY 25 -26. if you do not already have an appointment slot scheduled, please make sure call the ECC ASAP at 427-6360. OCBSC (Olmsted Community Baseball/Softball Commission) is looking for a Field Crew Manager for summer employment. Please click HERE to view the job descriptions. Contact Jill Lukes at 440-476-5997 or Lillian Faust at 440-638-9189 directly if interested. 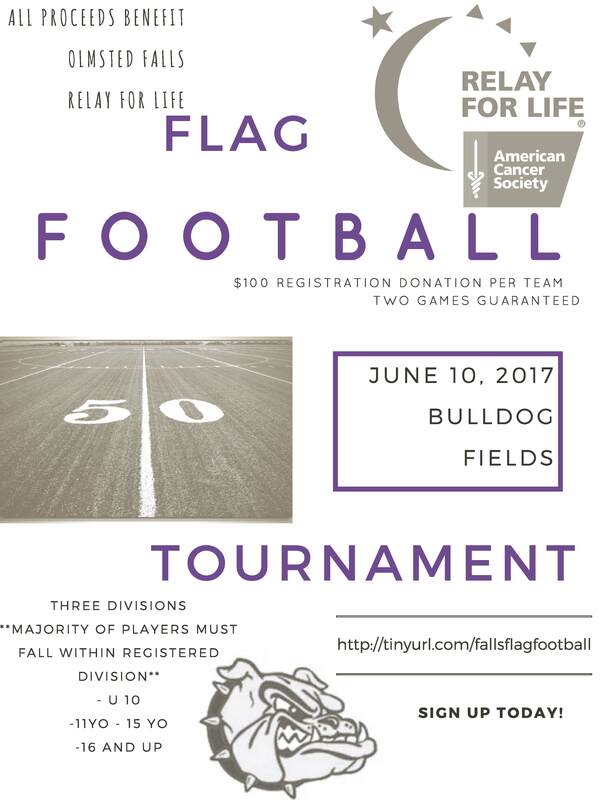 A June 10th youth flag football tournament will have its proceeds go toward the Olmsted Falls Relay for Life. Age divisions include under 10, 11-15 and 16 and up. The majority of players must fall within each specific division. To view a flyer, click HERE. Sign up today! Kids in grades 5-12 may sign up for a Youth Sand Volleyball Skills Clinic for seven weeks starting June 7th at Razzles on Bagley Road. Sessions run from 11 a.m. to 1 p.m. and include skill learning and scrimmages. Razzles also is offering a Youth Sand Volleyball League Girls 4S and Coed 4S starting June 8th for grades 5-12. Divisions include grades 5-6, 7-9 and 10-12. Game times will vary from 11 a.m., noon and 1 p.m. It is a seven-week tournament. To view more detailed information and registration forms for both the skills clinic and league, click HERE. 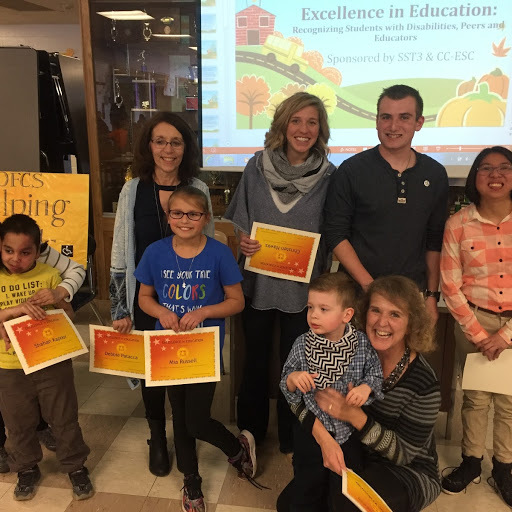 Each year the Cuyahoga County Educational Service Center, or ESC, presents “Excellence in Education” awards to deserving students, peers, and educators. 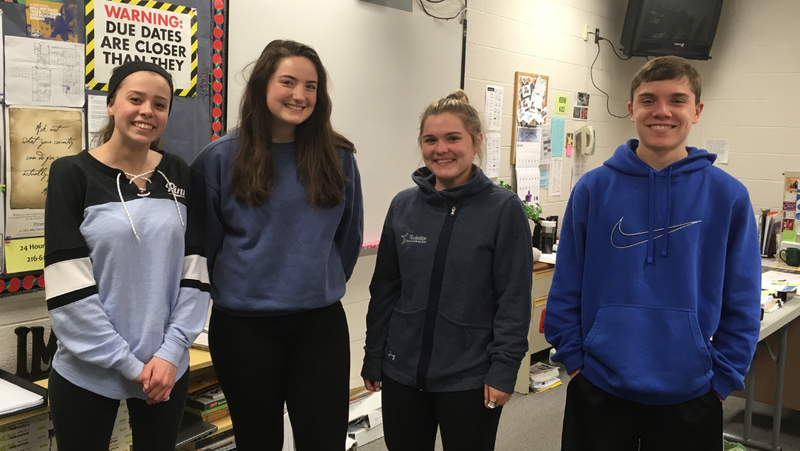 This year there were four students, three peers and three educator nominations from Olmsted Falls City Schools. 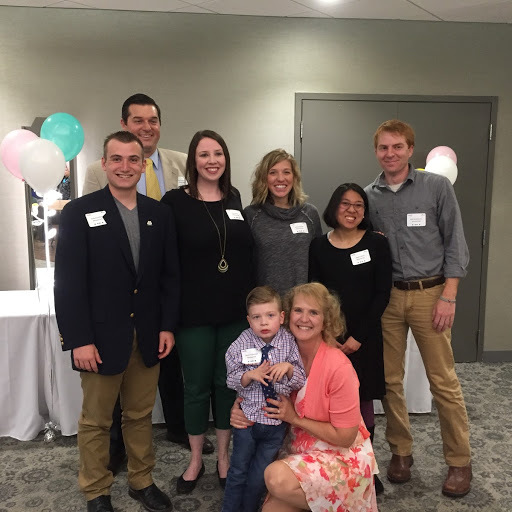 Our nominations were sent to the ESC and the recipients* of each award were recognized by ESC at a special awards breakfast held Friday, May 5th. The Outstanding Student Achievement Award – recognizes, celebrates and honors students with disabilities and acknowledges their outstanding achievements, both academic and non-academic. The Outstanding Peer Achievement Award – recognizes, celebrates and honors student peers who have established meaningful relationships and are exemplary role models for others. The Outstanding Educator Achievement Award – recognizes, celebrates and honors educators (including administrators, general education teachers, intervention specialists, and related service staff) who have provided exemplary instruction and creative programming that promotes educational results for students with disabilities. Congratulations to all of this year’s nominees and recipients! Thank you to all for your dedication and support to our special needs population. BULLDOGS ROCK THE 2017 SPECIAL OLYMPICS! Special Olympics 2017 was amazing! 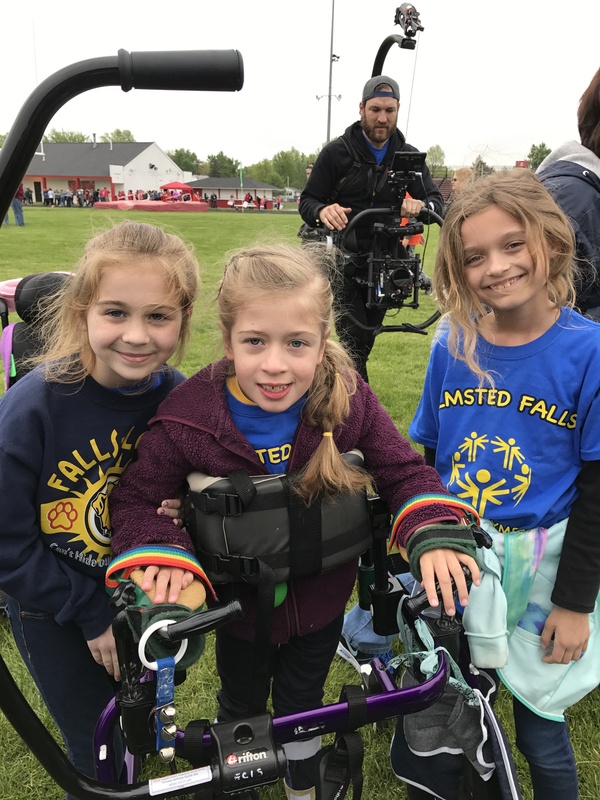 More than 50 students from across the Olmsted Falls School District participated in the annual Special Olympics hosted at Ely Stadium in Elyria on May 12th. Students competed in many different events such as running, long jump and softball throw. Participating Bulldog students practice hard all year and their enthusiasm and sportsmanship always shine! In fact, this year they shined so bright they were featured prominently in local news coverage of the event! CONGRATULATIONS to all of our outstanding local Olympians! Way to represent Bulldog Country! Go Bulldogs! A huge thank you goes out to the many staff members and volunteers who attended and helped the students have a fun and safe day! Thank you especially physical education teacher Jordan Eaton for organizing event logistics for all of the Bulldog building teams! Finally, a special thank you also goes out to the Olmsted Falls Athletic Boosters for the use of its tent and flag! To view the Channel 19 News coverage of this year’s Special Olympics, click HERE. PTA volunteers and staff gathered at OFIS for the annual PTA Volunteer Recognition Dinner on May 18th. Congratulations to Kelly Walker, who was selected as this year’s PTA Volunteer of the Year. 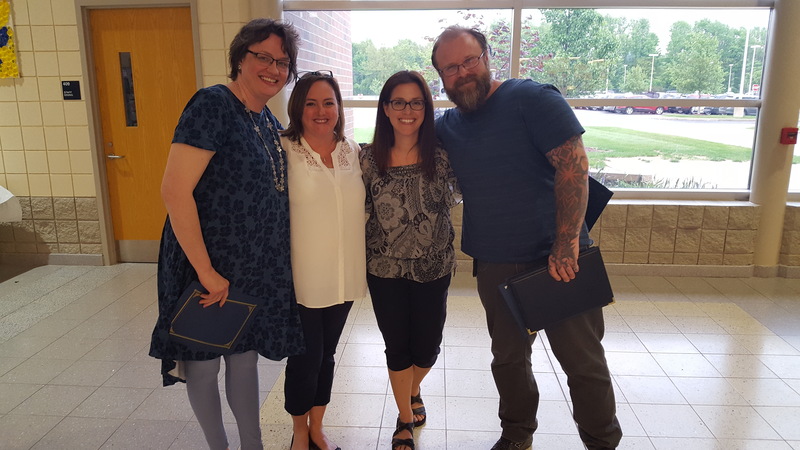 The Volunteer of the Year Awards in each respective PTA unit went to Michelle Saluja for Olmsted Early Childhood PTA; Jen Prugar for Falls-Lenox/ECC PTA; Kelly Walker for OFIS PTA; Melissa Schwecke for OFMS PTA; and Kelly Walker for OFHS PTA. This year’s District Helping Hands Award winner went to Bulldog parent Nick Shamhart, who was nominated by Olmsted Falls Intermediate School PTA. 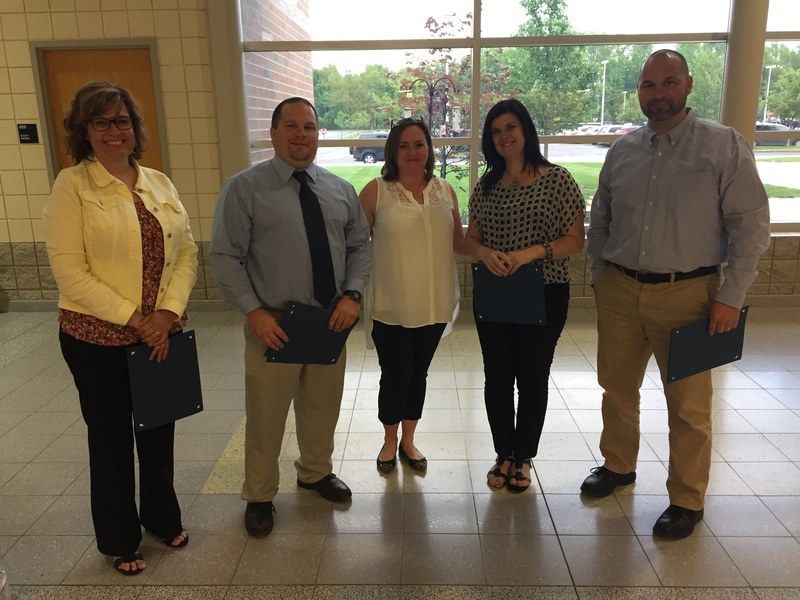 Other Helping Hands nominees recognized this year included Rochelle Umbel nominated by Falls-Lenox/Early Childhood Center PTA, Kelly Walker nominated by Olmsted Falls Middle School PTA, and Sandra Graham nominated by Olmsted Falls High School PTA. Olmsted Falls Intermediate School teacher Robert Englehart was also honored as the District Educator of the Year at the event. Building Educator of the Year honorees were also recognized including: Anne Statz for Falls-Lenox & ECC; Jennifer Canacci for OFMS; and John Vas for OFHS. ECC school nurse Kristie Patton was also recognized as District Nurse of the Year. PTA Council President Kelly Walker (far left) and OFHS PTA President Sandra Graham (far right) acknowledge outgoing PTA “senior moms” Cindy Grove and Judy Calloway. 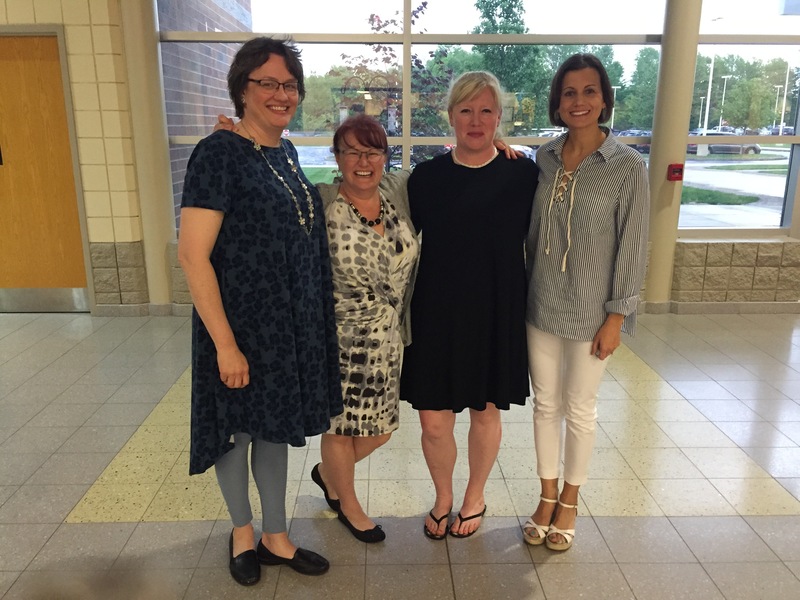 Finally, long-time PTA volunteers Judy Calaway, Cindy Grove and Laraine McCafferty were thanked and acknowledged as Senior Parents marking the end of their PTA volunteers years as their youngest child graduates with the Class of 2017. 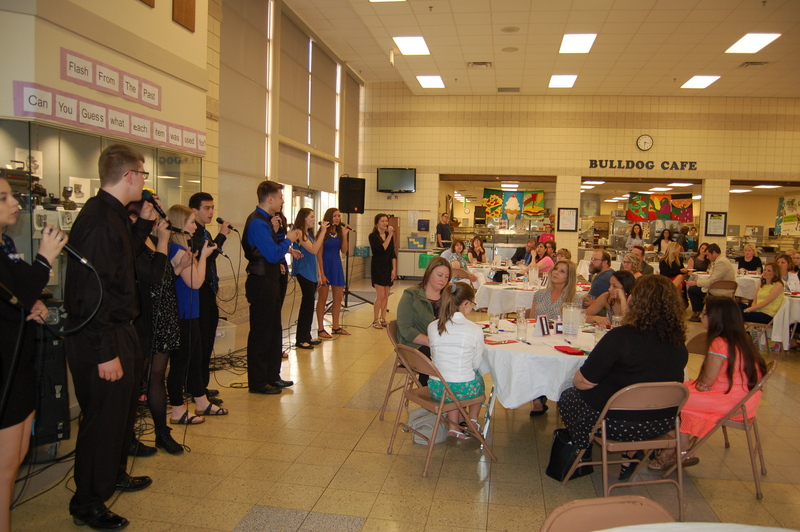 Special thanks also to the OFHS Golden Expressions who performed for guests at this event – their last official performance of a very successful school year! OLMSTED FALLS SCHOOL DISTRICT HAD 8 STATE WINNERS IN PTA REFLECTIONS CONTEST! 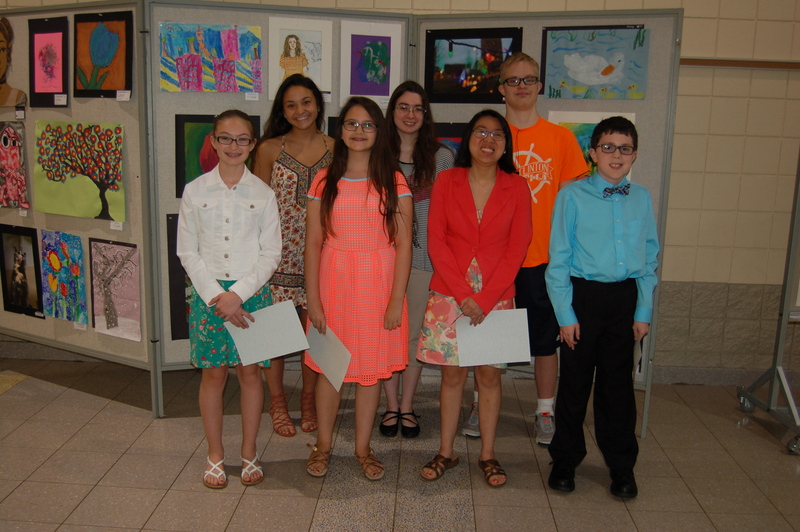 Congratulations to PTA Reflections Contest State-Level Winners from Olmsted Falls! 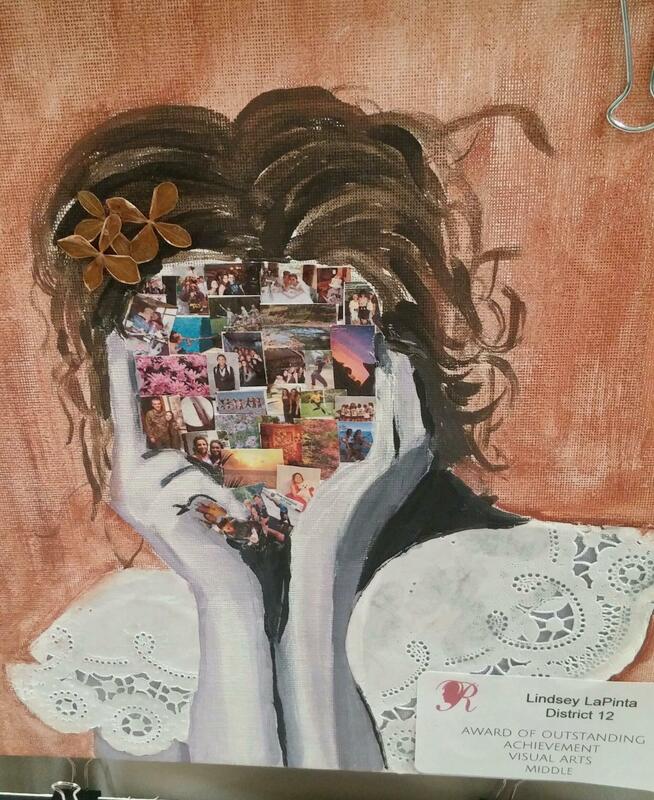 Lindsey LaPinta’s 1st Place Award-winning work of art! 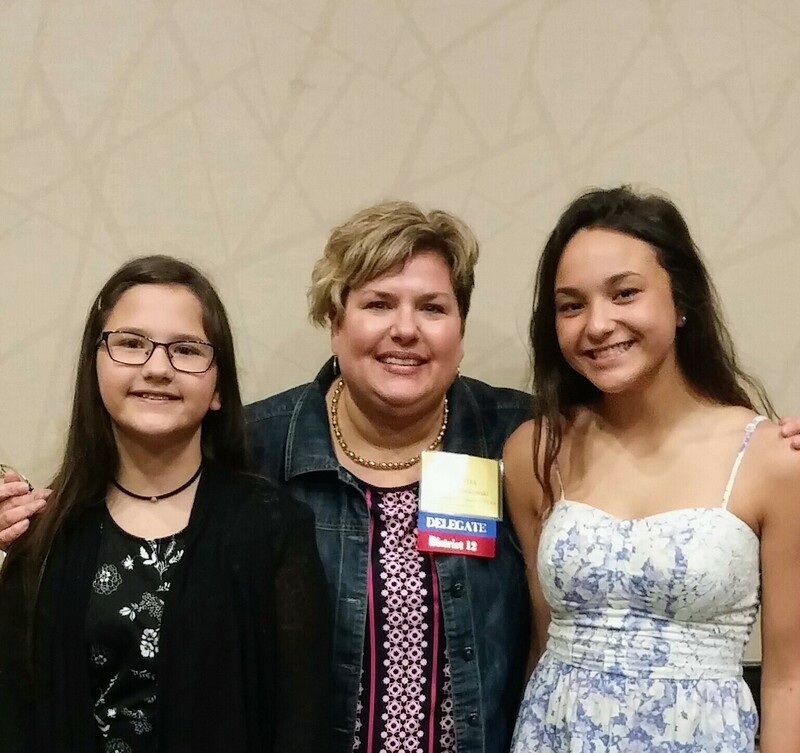 PTA Reflections Chair Mrs. Linda Parkowski with Carly Oliver and Lindsey LaPinta at Reflections award ceremony in Columbus. Approximately 85 senior citizens from throughout the Olmsted community enjoyed a community bus tour, sponsored by Olmsted Township, followed by a complimentary lunch at Olmsted Falls Intermediate School, sponsored by Olmsted Falls School District. Guests filled two school buses, which took them on an hour-long narrated tour throughout the community. Upon returning from the bus tour, guests were greeted and escorted to the OFIS gymnasium by the school’s outstanding group of student ambassadors, who also assisted in serving lunch. The menu, prepared by the OFCS Food Services Department, included mango chicken, fried rice, mixed veggies and an egg roll along with ice cream and fortune cookies for dessert. Guests also enjoyed wonderful performances by the OFMS Jazz Band, under the direction of Mr. Micael Feller (pictured at left), and the OFMS Golden Harmonies singers, under the direction of Mr. Ryan Patterson (pictured below at right). 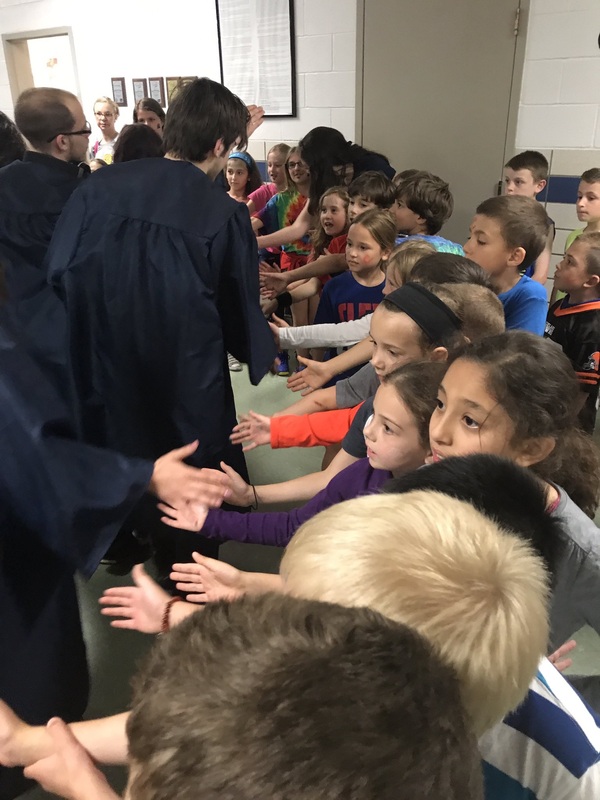 This marked the fourth time in recent years that Olmsted Falls School District has welcomed community senior citizens into the building for such an event; and the district looks forward to continuing the tradition in the years to come. 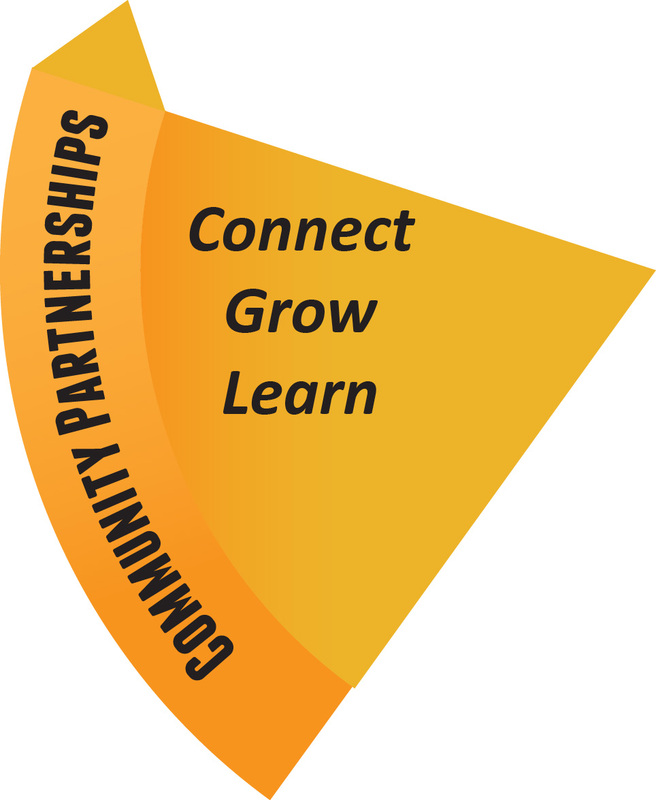 It is a wonderful opportunity to connect with community residents, showcase programs and answer questions. 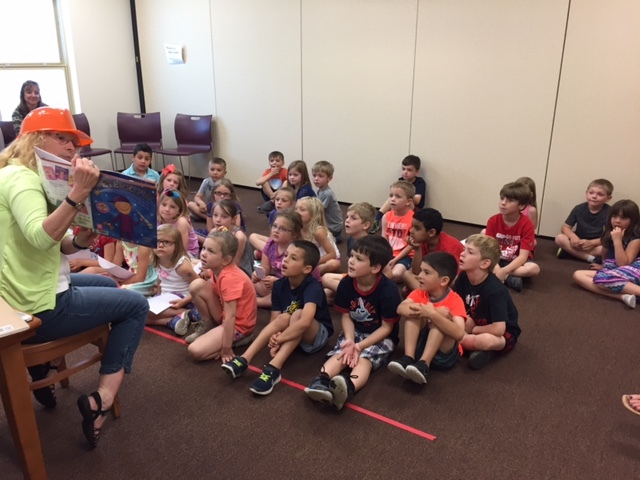 Students from Mrs. Doyle’s and Mrs. Roberto’s kindergarten classes enjoyed a field trip to the Olmsted Falls Public Library. They went on a special tour designed just for them which included a mini-lesson on where beginning readers and non-fiction books are shelved, getting library cards, and checking out books. The group also had a story time and created an electronic version of the “Don’t Let the Pigeon Drive the Bus” story. Students also learned all about the summer reading program! These itty bitty bulldogs and their families are all ready to use the public library for lots of reading and learning fun and exploration this summer! 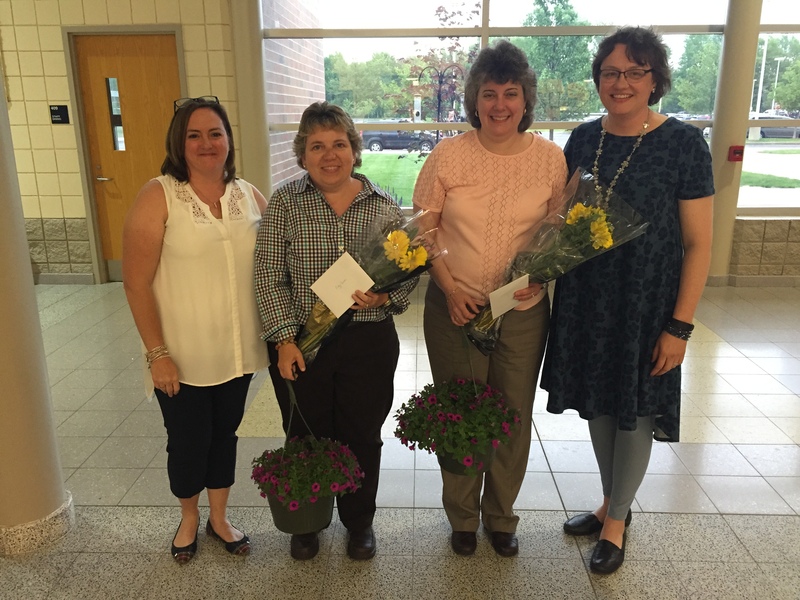 2017-2018 PTA Unit Presidents (L to R): Sandra Graham (PFHS PTA), Tricia Vidovich (OFMS PTA), Kerry Kramer (OFIS PTA) and Julianne Allen (Olmsted Falls PTA Council). Not pictured: Tiffany Fischbach (OECPTA) and Michelle Smith (Falls-Lenox/ECC PTA). Each of these unit presidents will be supported by an executive board of dedicated volunteers serving in the positions of vice president, treasurer, secretary and council delegates. To view the complete listing of 2017-2018 Executive Board Members, please click HERE. 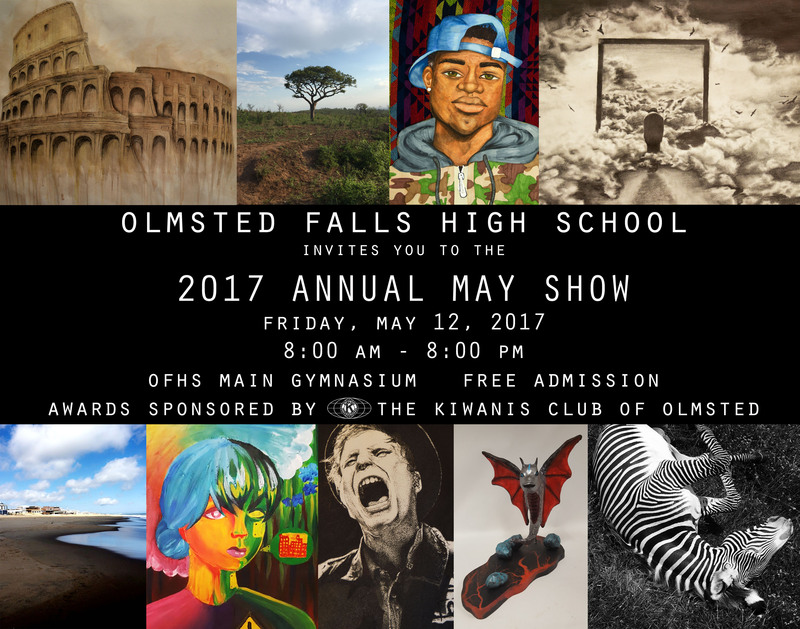 Congratulations to all and thank you for your ongoing support of the students and families of the Olmsted Falls school community! We looking forward to another fantastic year! The Olmsted Falls Volleyball Association 12’s team took 1st place in Gold in the OVR tournament last Saturday in Columbus. This means the team placed 1st in the state! The team never quit and fought hard to bring the gold back to Olmsted Falls. Congratulations, girls! Dr. Scott Sedlacek of The Eye Place in Olmsted Falls visited all the fourth grade classrooms last week. 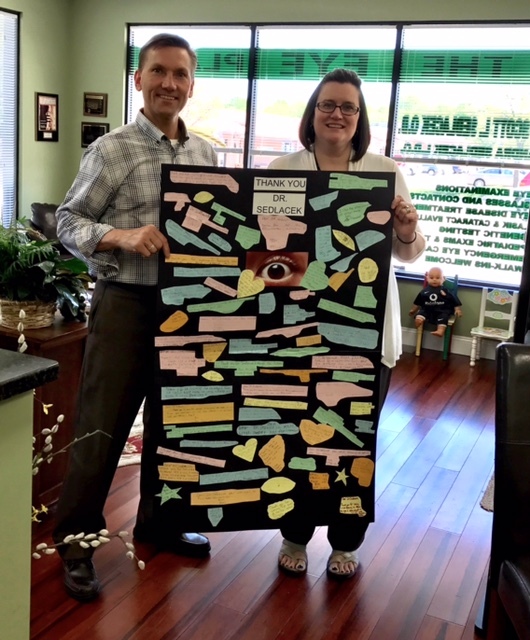 He presented a program called The Secret Case of Vinny Vision, designed to teach students about the anatomy of the eye and eye health and safety tips. ARE YOU A WINNER IN THE OFMS PTA MAY CALENDAR RAFFLE? Winners of the OFMS PTA May calendar raffle, please pick up your prize in the Olmsted Falls Middle School office during school hours. A huge THANK YOU to everyone who participated!! 🙂 Watch the next blog for more winners!! This Saturday is the last chance to spruce up your yard with plants from the Olmsted Falls Boy Scout Troop 201 flower sale. Its sale hours are 9 a.m. to 4 p.m. this Saturday, May 20th in the parking lot in front of the Olde Wine Cellar – formerly Jenkins Center, at the corner of Columbia Road and Main Street. Scouts will have hanging baskets, flats of annual flowers, herbs and vegetables at good prices. Stop by, support Scouting and shop locally. The group also is collecting donations for the Olmsted Falls/Olmsted Township food pantry, so please consider bringing a non-perishable food item when you shop. 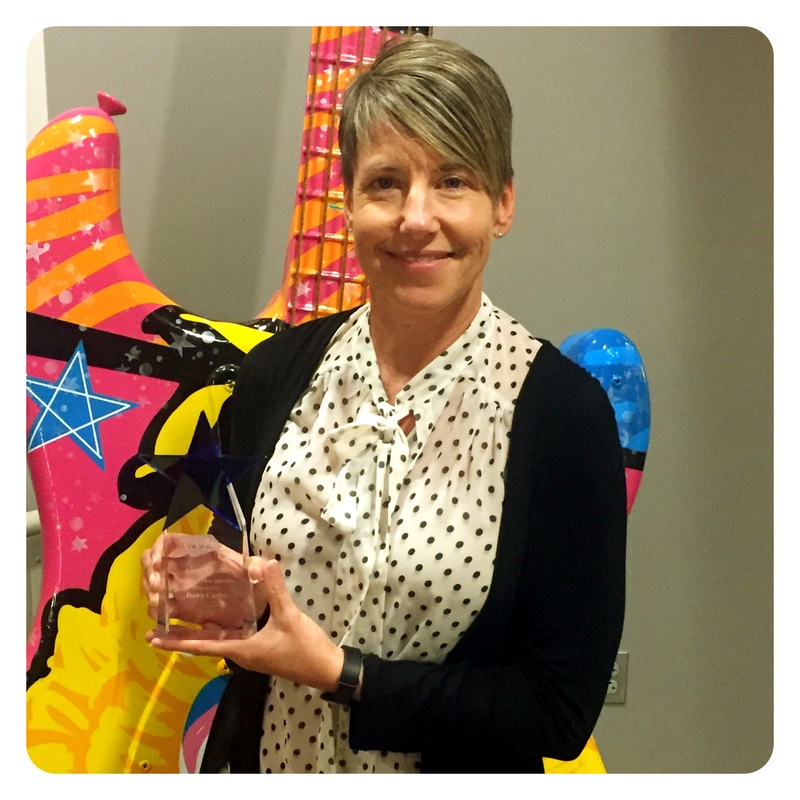 Congratulations to Dawn Carlin, the district’s technology integration specialist, who recently received the 2017 Betty Cope Award for outstanding service to the ideastream Education Advisory Council. Dawn demonstrated commitment by supporting the education outreach of ideastream to best serve educators in Northeast Ohio. The award is given annually in the spirit of Betty Cope, the first programming chief and general manager who was instrumental in establishing the WVIZ studio on the stage of Cleveland’s Max S. Hays vocational High School. The news release stated Dawn represents Olmsted Falls Schools on the Advisory council and is an active and contributing member of the Steering Committee. She provides important suggestions and constructive input to shape the professional learning experiences provided to northeast Ohio schools through the council. 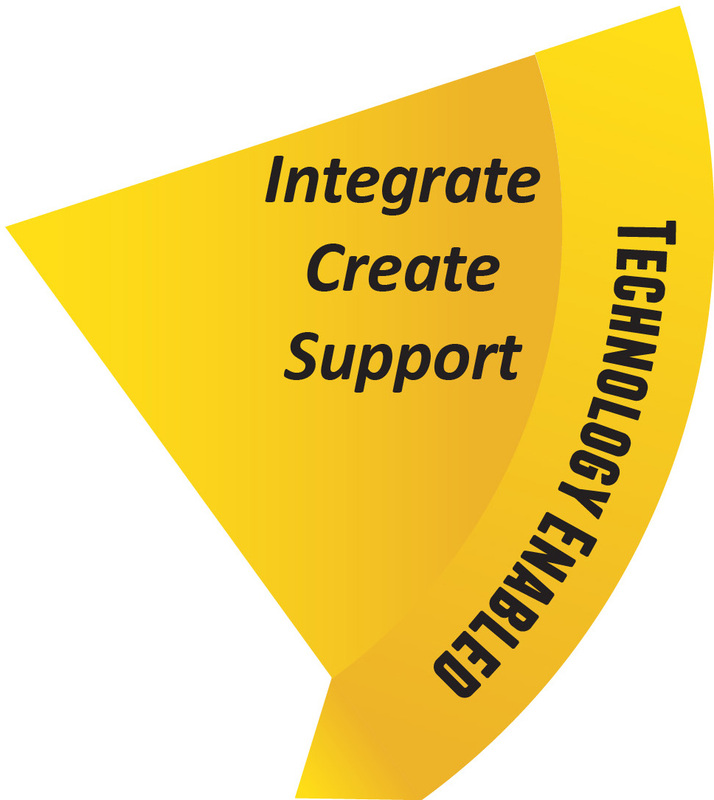 She also has presented at, and assisted with, the ideastream Education Technology + Learning Conference for the past several years. Olmsted Falls School District is truly fortunate to have Dawn Carlin working on behalf of our staff and students here in Bulldog country! Congratulations to 7th grader Andrew Homola, and 8th graders Emily Sumerauer and Caroline Gardner on their award-winning essays in this year’s annual Americanism essay writing contest sponsored by the Berea Elks. This year’s topic was “Why Is It Important to Vote?” More than 400 students from Olmsted Falls, Strongsville and Berea entered the contest and three of the lodge level winners emerged from Olmsted Falls! Andrew’s essay also earned 3rd place for the Northeast Ohio District for the Ohio Elks. 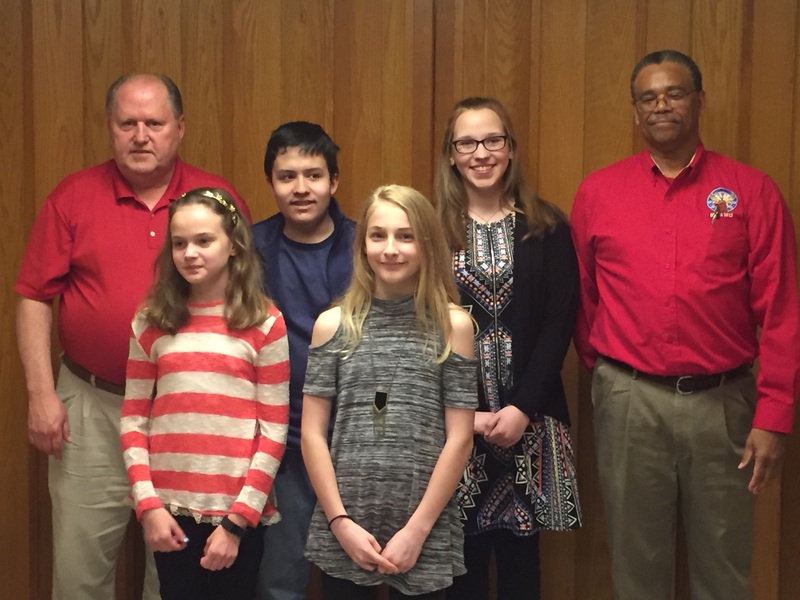 The students were invited to attend the Berea Elks Youth Recognition dinner earlier this week, along with their parents. OFMS Social Studies teacher Sandra Cibulskas also attended the special recognition event. Congratulations again to Andrew, Emily and Caroline on this accomplishment! Great job to these students for their hard work!!! 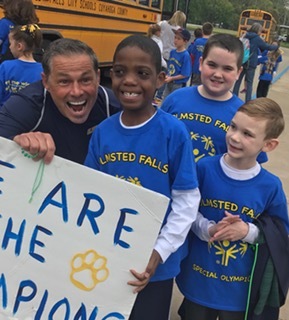 The Olmsted Falls School District community is greatly saddened by the loss of Falls-Lenox first grade teacher Marty Simon, who passed away earlier this week. Mr. Simon was an Olmsted Falls High School alum, a coach and was an outstanding teacher who taught in our district for 18 years. 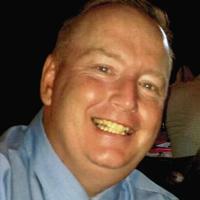 Marty served our community and our students well, positively impacting countless lives. Our school community continues to keep the Simon family in our thoughts during this difficult time. We need your Cheers!! 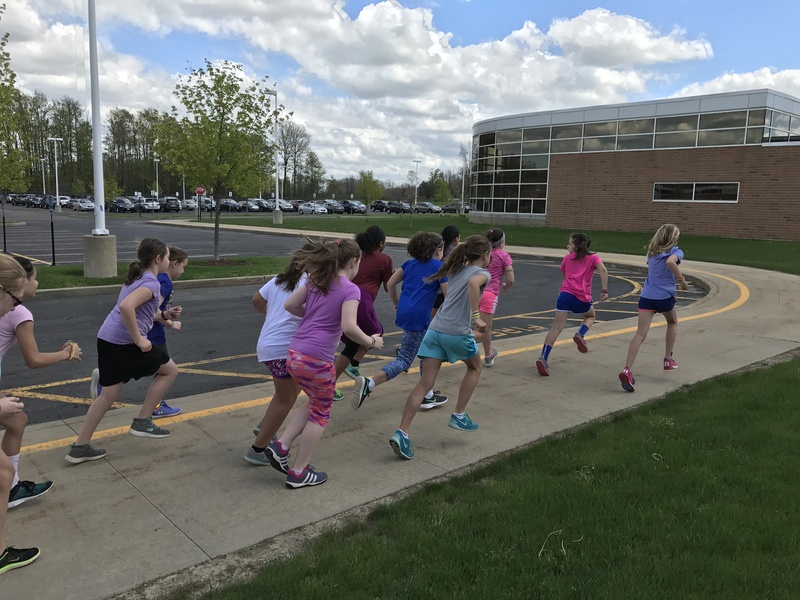 Please come out THIS SUNDAY, MAY 7TH, and support the OFIS Girls Running Club as they participate in the Olmsted Spirit 5k race. The girls have been training hard for the past two months and would love some crowd support. The Olmsted Spirit 5k starts and ends at the High School stadium at 9 a.m. The running club girls will be wearing neon pink ~ stop up to cheer them on! 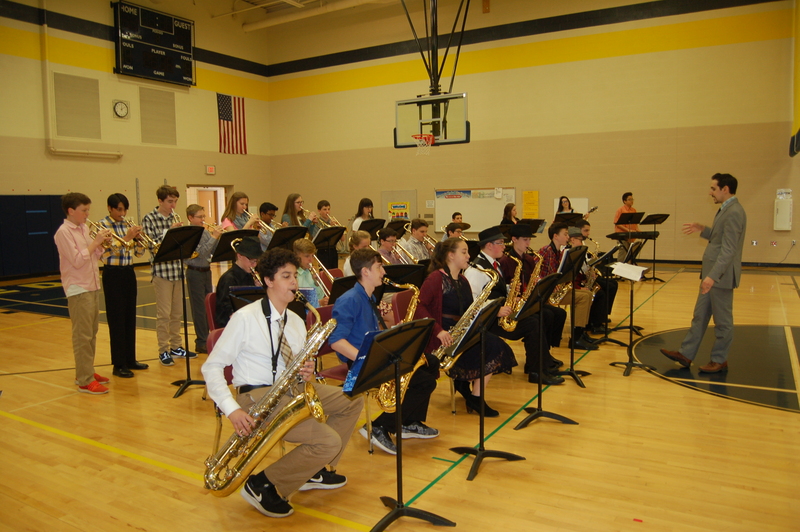 You’ll find many pictures of past events and important news of upcoming activities in the latest Olmsted Falls Music Association’s Musical Notes newsletter. To view it, click HERE. The group’s next meeting is at 7 p.m. this Monday, May 8th in the OFHS choir room. All are invited to attend. 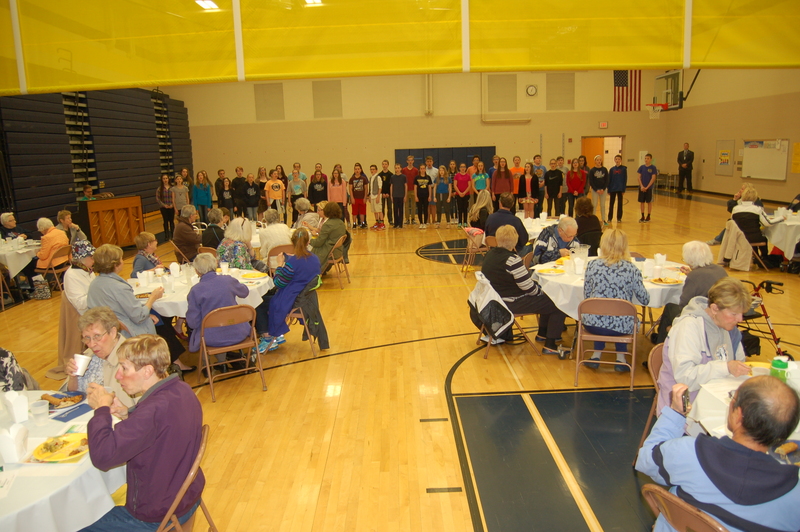 Olmsted Falls Schools will host its next luncheon event for senior citizens in the community next Thursday, May 11th. This spring’s luncheon will take place at Olmsted Falls Intermediate School. 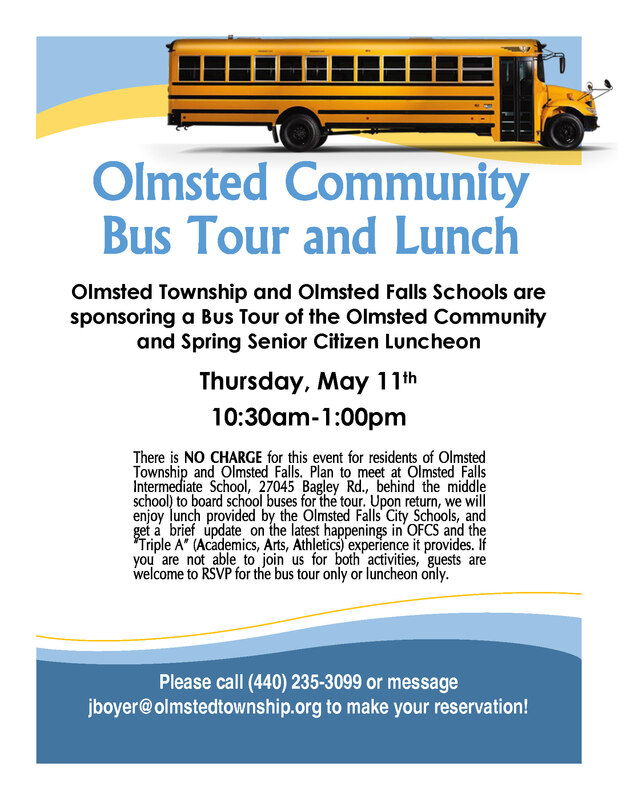 As an added opportunity, Olmsted Township is sponsoring a free community bus tour prior to the lunch. Both events are free to senior citizen residents of Olmsted Township and Olmsted Falls. However, an RSVP is required. Please do so ASAP. The Olmsted Falls Middle School Media Center will host a Scholastic Buy One,Get One sale starting Monday, May 15th and running through that week ending May 19th. It will occur from 8:30 a.m. to 3:30 p.m. every day. 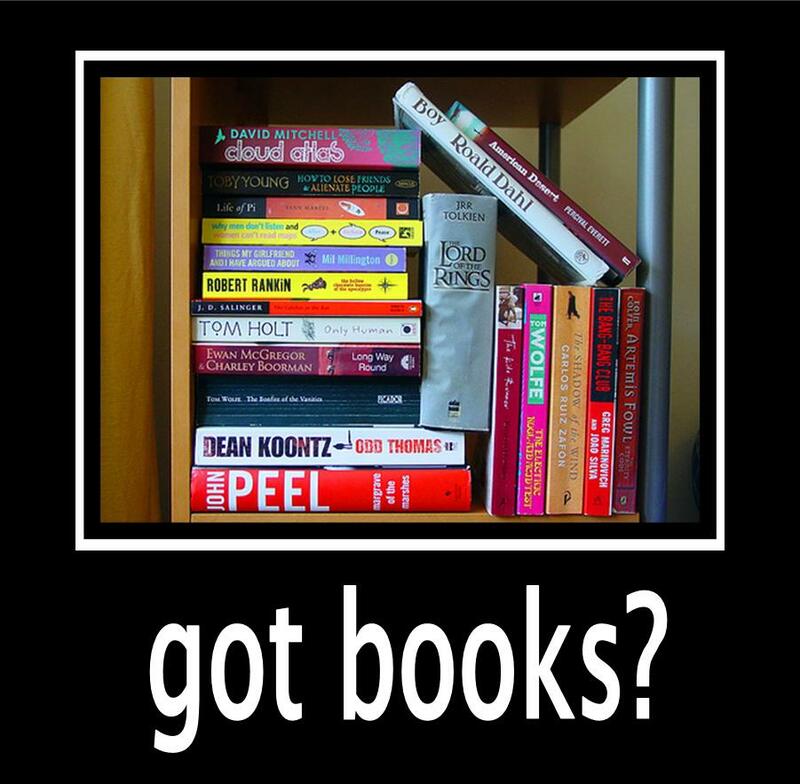 The BOGO sale is a great opportunity for students to load up on summer reading books by buying one book and getting a second book of equal value or less for FREE! All items at the book fair are available while supplies last. 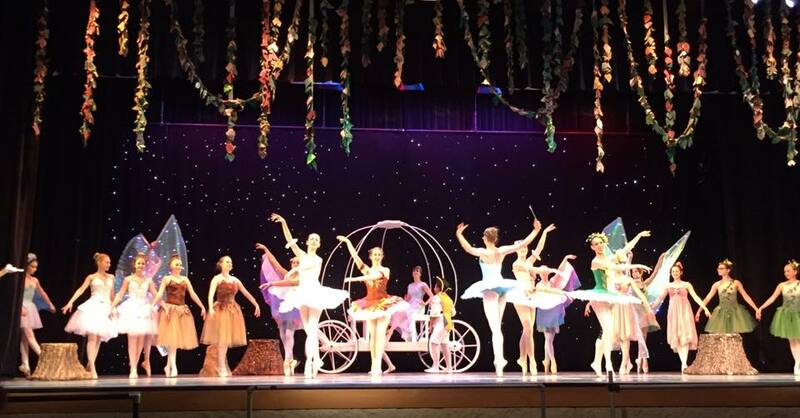 North Pointe Ballet will perform the ballet “Cinderella” set to Sergei Prokofiev’s 1944 score at Hope Community Church Auditorium this weekend.. Performances are at 7:30 p.m. May 5th; 2:30 and 7:30 p.m. May 6th and 2:30 p.m. May 7th. 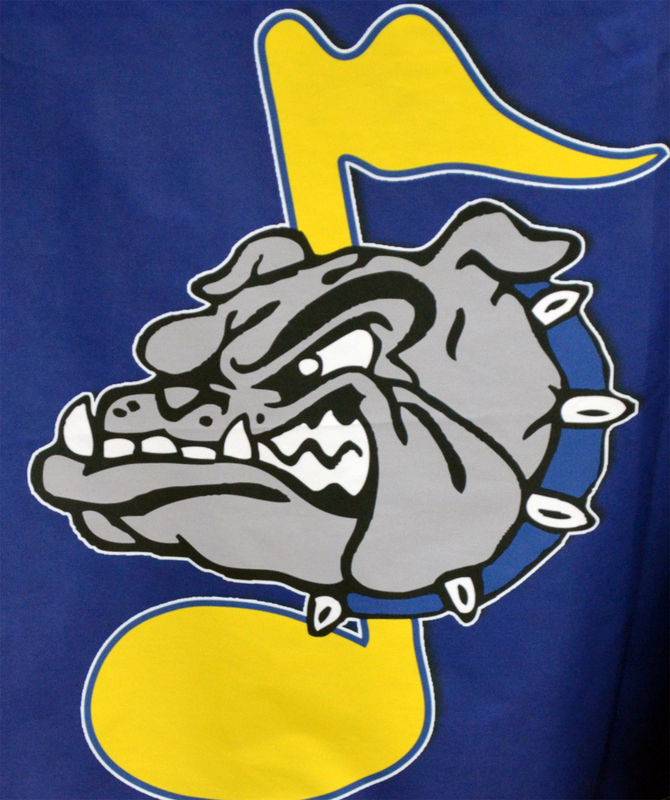 Olmsted Falls School District families may receive a “Buy One, Get one FREE” ticket special by entering “bulldog” coupon code online by clicking HERE. Director Janet Dziak’s original choreography is comical, light-hearted and easy to understand for the whole family. The annual Olmsted Spirit 5K Race/Walk is set for 9 a.m.THIS SUNDAY, MAY 7TH at the OFHS stadium. This year will be the 20th annual race! In-person registration is from 7:30-8:30 a.m. right before the race Sunday at OFHS. 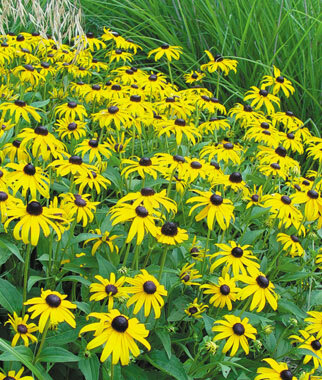 The Olmsted Falls Garden Club’s annual Perennial Sale is from 11 a.m. to 2 p.m. this Sunday, May 7 on Main Street grounds across from Olmsted Community Church. The Westview Sharks Swim Team will host a Meet the Coaches event from 5-7 p.m. this Sunday, May 7 at its Westview pool on Redwood Drive. Spruce up your yard with plants from the Olmsted Falls Boy Scout Troop 201 flower sale. Its hours are 9 a.m. to 5 p.m. May 13th; 9 a.m. to 2 p.m. May 14th and 9 a.m. to 4 p.m. May 20th in the parking lot in front of the Olde Wine Cellar – formerly Jenkins Center, at the corner of Columbia Road and Main Street. Scouts will have hanging baskets, flats of annual flowers, herbs and vegetables at good prices. 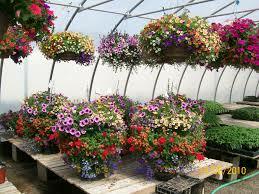 Hanging baskets make great Mother’s Day gifts, too! Stop by, support Scouting and shop locally.